All I can think of when I look at the second to last panel is "talk to the hand." Zomg guys! More beautiful art to share! There was a Valentine's Crossover Exchange this past weekend and this stunning piece is what I received. So many great pieces were present in the exchange but there's always something extra special about receiving a surprise from an artist whose work you admire. I feel so lucky! 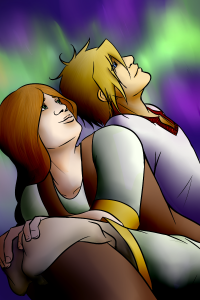 This gorgeous piece comes from the amazingly talented Damatris of the lovely webcomic Fallacy. Please go read it! Also, the character on the right is Thjalfi from Fallacy. One of the rules of the exchange was to draw a character from your world interacting with a character of your assigned comic. Everything about this drawing feels so natural and I love how peaceful it is. 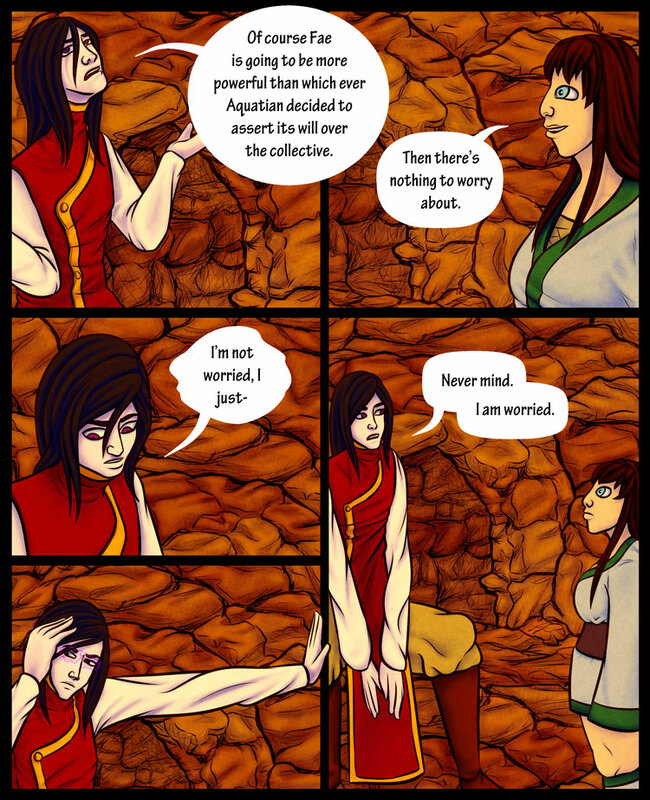 I just can't shake the feeling that Enya is up to no good in this situation. Maybe not overly but there's something brewing. I so wish I could actually comment on Enya... you're right something is brewing but what or when, I cannot say.